Despite growing up in Newport News, Virginia, the neighboring city of NASA Langley Research Center, and developing a love for space and academics, I never dreamt that I would one day work at NASA. No one in my family had ever even been to college. My parents were older and my father, a retired shipyard worker, was from a different era. When I told him I wanted to go to college and travel the world, he advised me to stay home and save my money. I couldn’t settle for that. My father loved me but didn’t understand me. I knew that I couldn’t change his outdated views, which kept him from seeing my potential. For better or worse, this taught me a valuable lesson, that is, not everyone is going to agree with you or support your goals and dreams, and that’s ok. You can respectfully disagree and resolve to do what’s right for you. And, that’s exactly what I did. I can admit that I really had no idea what I wanted to study or what career I wanted. My high school guidance counselor helped me with the application process and encouraged me to study computer science. Being somewhat of an extrovert, I soon realized that computer science wasn’t really for me. It took me nine years of working various part-time and full-time jobs to accomplish my goals of completing my bachelors and master’s degrees. I learned to be innovative, resourceful, and flexible in order to accomplish my goals. And, more importantly, I learned to network, ask for help and celebrate my successes along the way. During that time, I traveled as much as possible, fell in love with aviation, and learned to scuba dive. While I was in graduate school at Old Dominion University, I took the civil servant exam, and as a result I received three job offers. One of them was to go through the graduate co-op program at NASA and possibly be offered a job upon completion. The other two offers were attractive, but they weren’t with NASA. Although I’m not an astronaut, I consider myself an explorer forging the frontiers of space right here on our home planet. I work closely with NASA senior leaders to develop and implement strategic partnerships and build advocates with our congressional delegation, local elected officials and community leaders. I am deeply committed to creating partnerships and maintaining US leadership in aerospace. Early in my NASA career, I managed the outreach and exhibits program, so I was able to bring my children along to state fairs, air shows, and shuttle launches. It wasn’t always easy being a single mom and juggling career and volunteer activities, but I always found a way. I tell my children and my interns that you never know where life will lead or what doors will open; you just have to be prepared, have faith in yourself and believe in the possibilities. I took AP Government and participated in Model United Nations in high school without knowing that I would one day manage NASA Langley’s legislative affairs program. I’m passionate about inspiring the next generation of explorers, and I try to share my sense of adventure with my children. My own path to get here has been unique, and along the way, it took the help of some mentors. I tell my children and interns that you can learn a lot by surrounding yourself with positive people and mentors. I encourage them to mirror the successful behaviors of others and to incorporate them into their lives in a way that is true to their own goals and passions. Donna Lawson currently serves as the legislative affairs officer for NASA Langley Research Center in Hampton, Virginia. Since 2003, she’s been responsible for developing and implementing strategies to communicate the value of NASA and Langley’s programs to federal, state and local government officials. She earned a master’s degree in Technical Communication and Management from Old Dominion University and is a resident of Poquoson, Virginia. She is deeply committed to building advocacy for NASA and maintaining US leadership in aerospace. She collaborates with industry, academia and community leaders on cooperative efforts to raise awareness of the importance of NASA and the aerospace industry to the future and economic vitality of our Nation. She leads an annual AeroSpace Day at the Virginia General Assembly and supports regional economic partnerships. 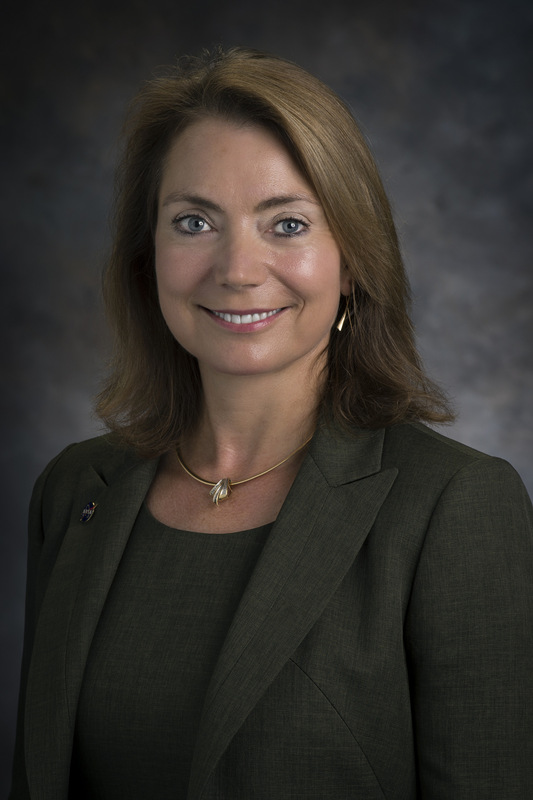 She serves as the primary liaison on NASA-related legislative issues and outreach efforts to numerous organizations, including the Governor’s Aerospace Advisory Council and the Hampton Roads Military & Federal Facilities Alliance. Prior to managing NASA Langley’s government relations, she led major aerospace advocacy activities and managed regional and national outreach programs for both the Agency and the Center. She began her career at Langley in 1991, as a technical publications editor.